The summer months are the peak period for dry and burnt lips, conditions which in turn provide the ideal conditions for cold sores to break out. The HSV-1, or herpes simplex, is the virus responsible for cold sores on the face, usually around the lips and nose. The bad news is that cold sores can recur repeatedly as the herpes virus “hides” in the nerve cells and can then be triggered by a variety of factors including cold weather, fever, illness, and fatigue to cause a cold sore to break out. A tingling sensation in the affected area is often the first sign of an emerging cold sore. This is the time to speak to your community pharmacist who can provide advice of any treatment which may be suitable for you. As a cold sore progresses, a collection of small blisters forms and these usually burst after a few days. This is followed by the development of a crust which after about 10 days or so dries up and falls off. While cold sores are usually just an annoying – and often unsightly – problem for most of us, people with some types of immunosuppression are at an additional risk of the cold sores spreading with resultant severe symptoms which may require special medicine. Complications that require treatment can include bacterial infections which are at times characterised by redness around the blisters, a fever and pus developing within the blisters. Another issue to be wary of is when cold sores spread to the eyes, fingers or other parts of the body. A cold sore in the eye requires immediate medical attention as sight can be affected if it is left untreated. Avoiding cold sores is difficult as there is no cure for them but we can reduce the risk by avoiding known triggers. Wearing sun screens on the face, avoiding stress and getting run down, and looking after your general health are good basic defences. Another defence is avoiding activities which transmit the virus – especially in the first few days when the blister begins to form which is when it is at its most infectious. Direct contact or via saliva as the most common ways of transmitting the virus. Obviously kissing and contact with the blisters have to be avoided but also people with cold sores should avoid sharing toothbrushes, cups and glasses, cutlery, towels and so on. Helping people manage cold sores is an everyday part of a pharmacist’s job. 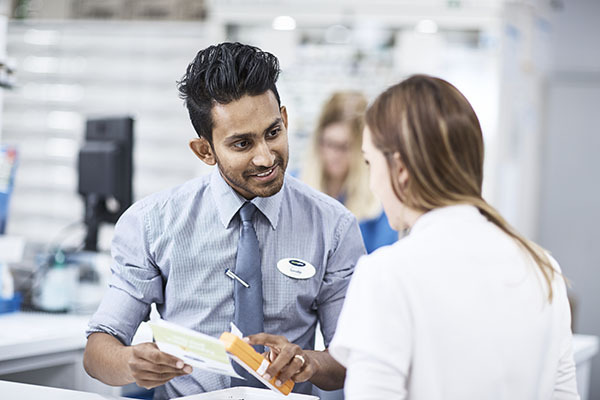 Your community pharmacist can advise and help you to deal with cold sores so don’t hesitate to ask them for help at the first sign of a cold sore emerging. Cold sores are small blister-like spots that appear in or around the outside of the mouth. Cold sores are caused by a virus, known as herpes simplex..